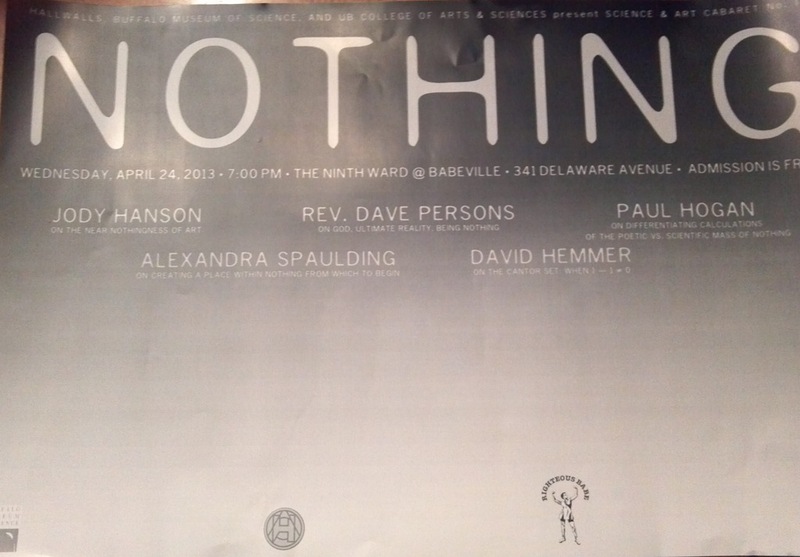 On the other hand, “Nothingness” defines true reality as “Everything”. It describes the real in contrast to the unreal. Nothingness refers to the permanent in contrast to the impermanent. Estimates date the physical material manifestations of the universe around 14 billion years. They exploded out of something less than the size of an acorn, or seed kernel. This universe continues to expand but one day returns to the seed or “black hole.” Meanwhile, the visible 4 % pales in contrast to the 96% “nothingness”. A few weeks ago I spent an evening with a young Tibetan monk visiting our area from Dharamsala, India, a follower of the Dalai Lama. He began by describing the essence of Buddhist meditation as escape from the impermanence which surrounds us. We then meditated seeking to leave the nothingness of the impermanent world to experience the nothingness of everything in the permanent world of spirit. Maybe it’s like the Buddhist who walked up to the soy burger stand and said, “Make me one with Everything”! “The Tao gives rise to all forms, yet it has no form of its own. If you attempt to fix a picture of it in your mind, you will lose it. Since leaving seminaries, I learned to view God as a “no-thing”. A sign in our home reads, “The best things of life are not things.” Yet the classic definition of God from my Christian tradition was “God is Spirit, and those who worship (or pray) to Him must worship in spirit and truth.” This verse, from the Gospel of John, was the answer Jesus gave a Samaritan woman, asking, “Where is the proper place to pray?” Jesus said it makes no difference since Spirit is everywhere unbounded by time or space. Whether Jewish, Christian, Muslim, Hindu, Buddhist, Shinto, or one of the thousands offshoots, the essence is one Spirit, a non-corporeal Center called Spirit, Atman, Love, Tao or some expression of the permanent unseen, unfelt Divinity. Yoga and meditation groups now proliferate throughout western, formerly Christianized countries. Scores of Buddhist, Hindu and meditation groups are available in our county and Western New York. People continue to leave traditional churches to experience peace found in these experiences. In summary, the “Nothingness” of the universe is everywhere and it is in us, and mystical perspectives see it as Us, the True Self, the Breath of Life, Heaven. I seek not to be fooled or deceived by the temporary, impermanence around us in body senses and the material world. I seek to remain free of guilt, fear, anger and hatred and treat ourselves, others, and all sentient beings with compassion, love, and forgiveness. For one cannot be without the other. Summary of my talk offered at the 9th Ward located at Babeville, the evening of April 24, 2013. A wonderful evening and I met and heard wonderful people. This entry was posted in Spirituality and tagged Immortality, Mortality, Spiritual Nothingness. Bookmark the permalink.